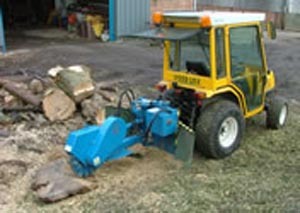 The 480 grinder is a multy fit unit, we only require the host machines back plate or 3 point linkage type. The 480 requires 40ltr min flow and 110ltr max flow upto 210 max pressure. The higher the pressure and flow the better the performance.